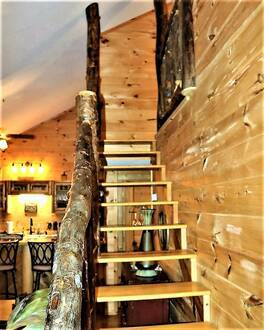 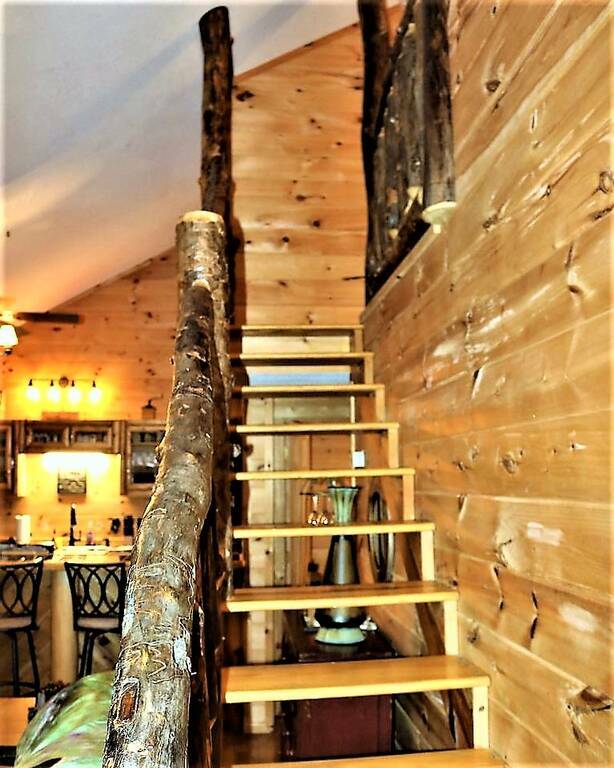 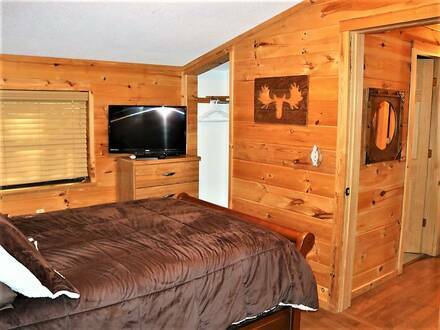 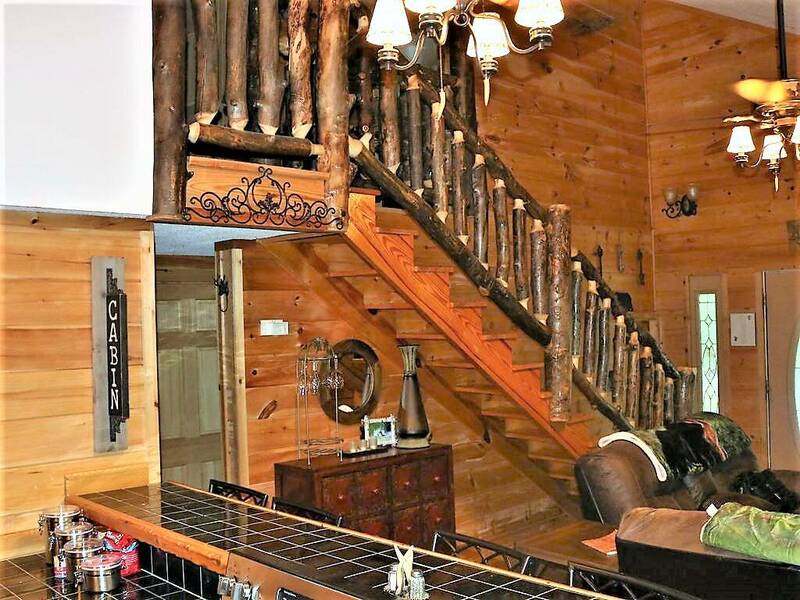 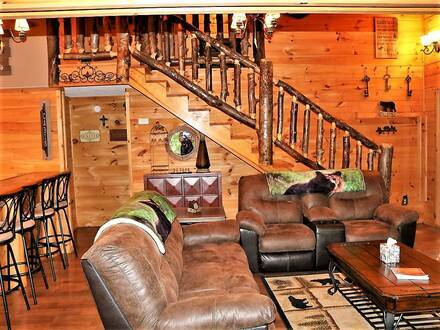 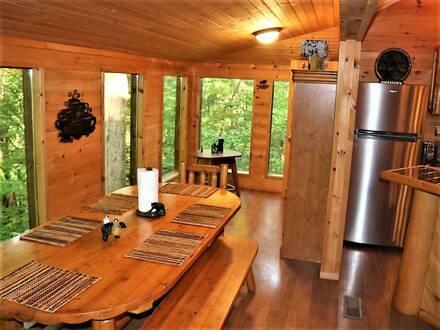 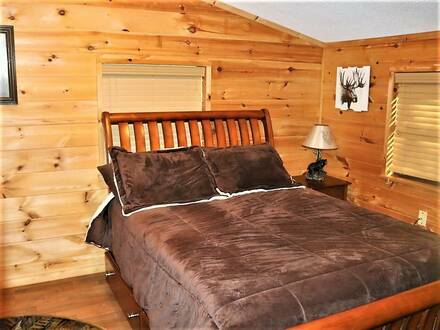 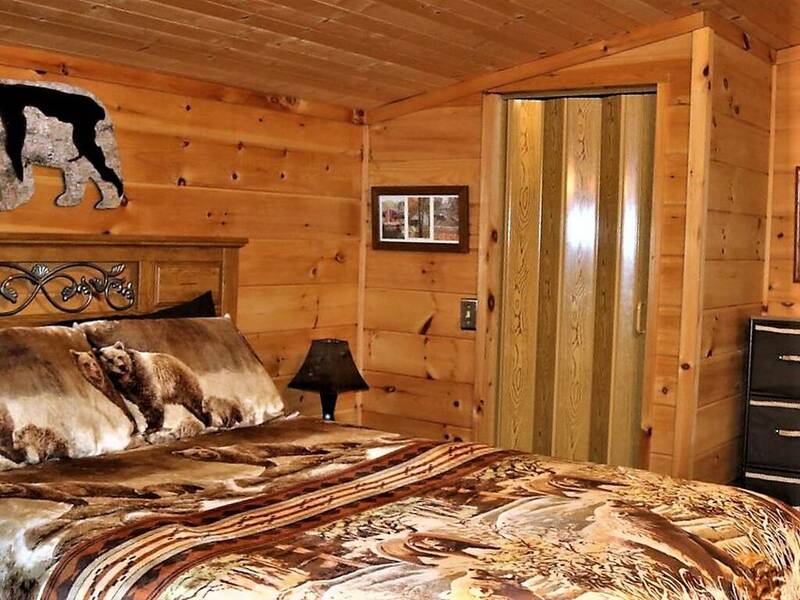 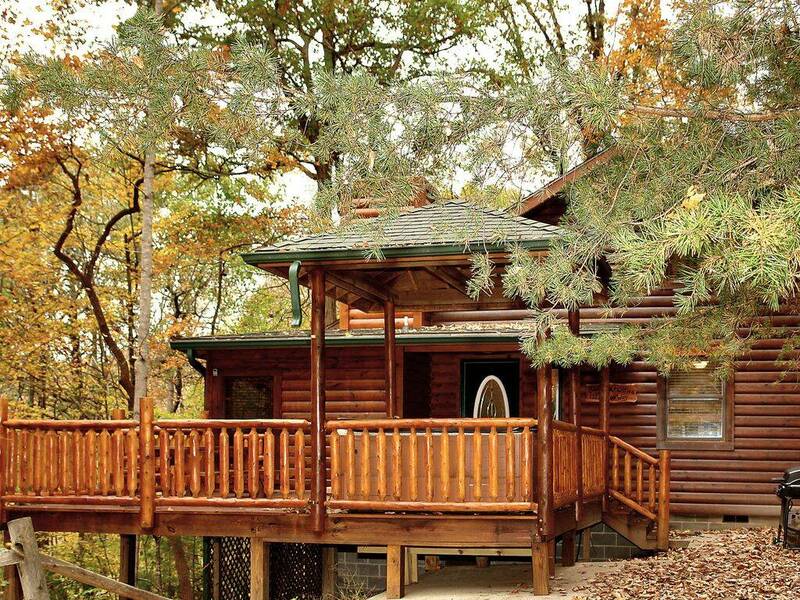 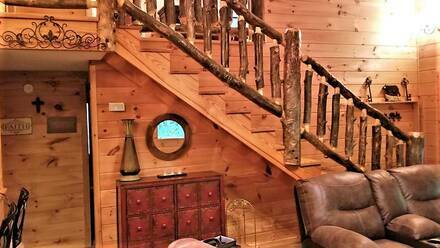 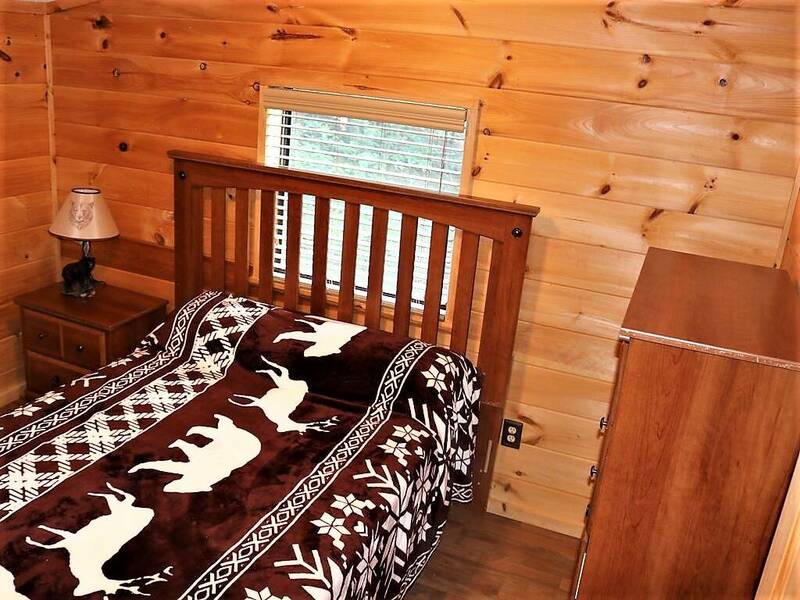 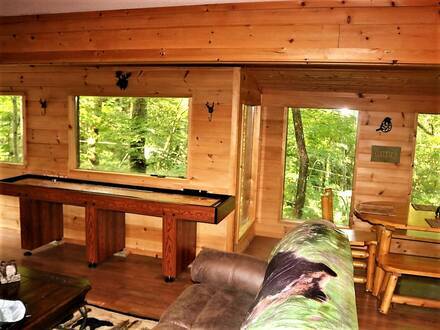 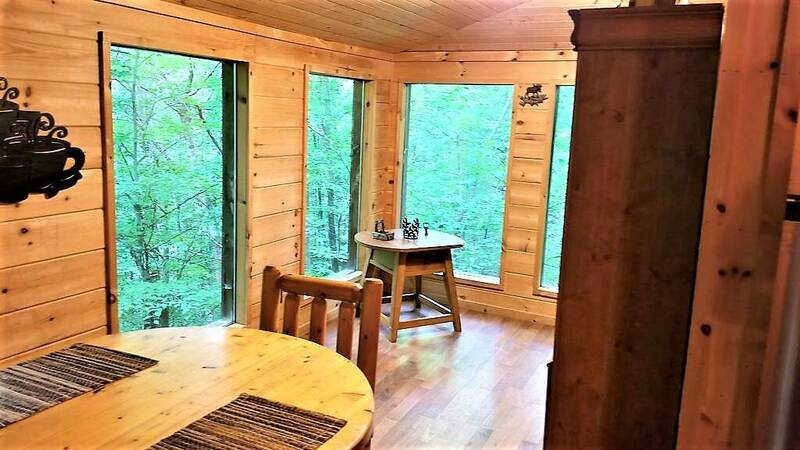 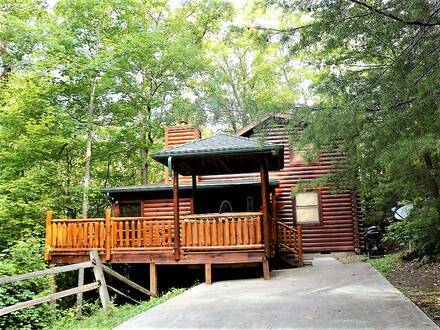 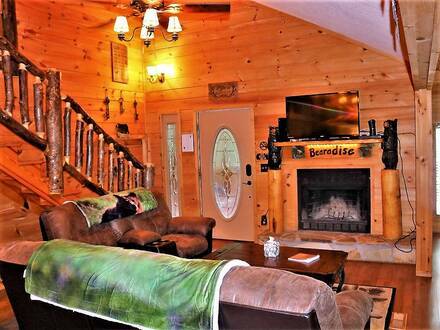 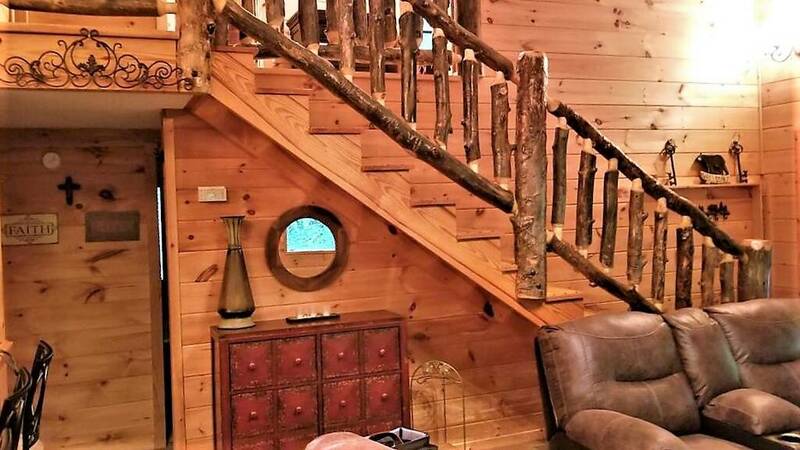 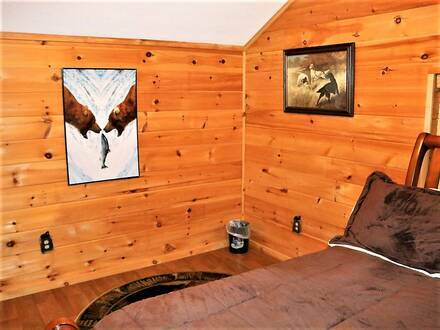 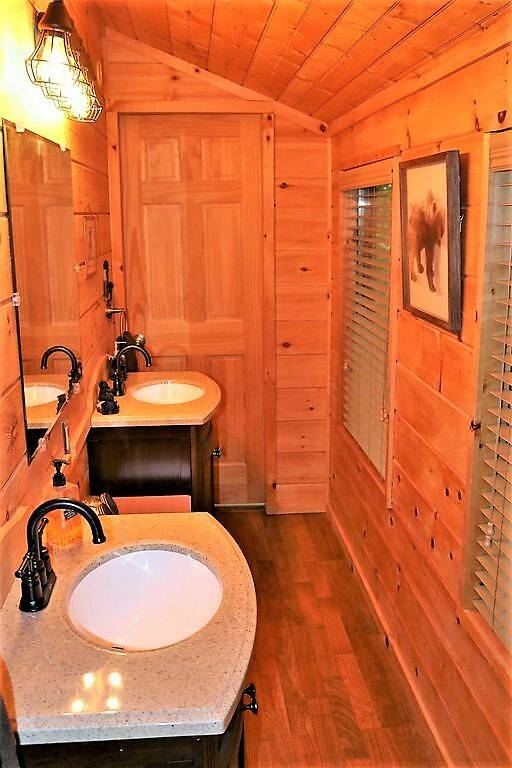 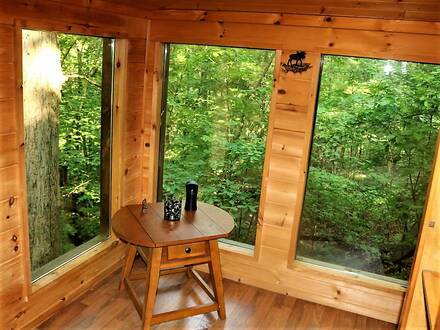 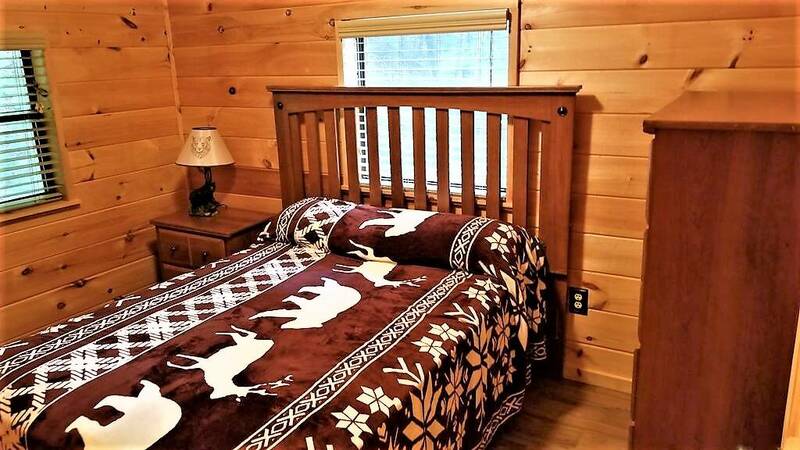 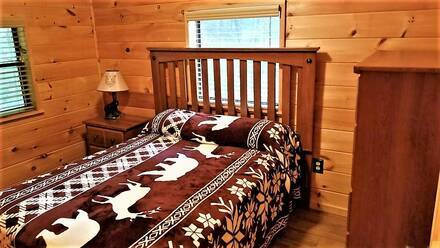 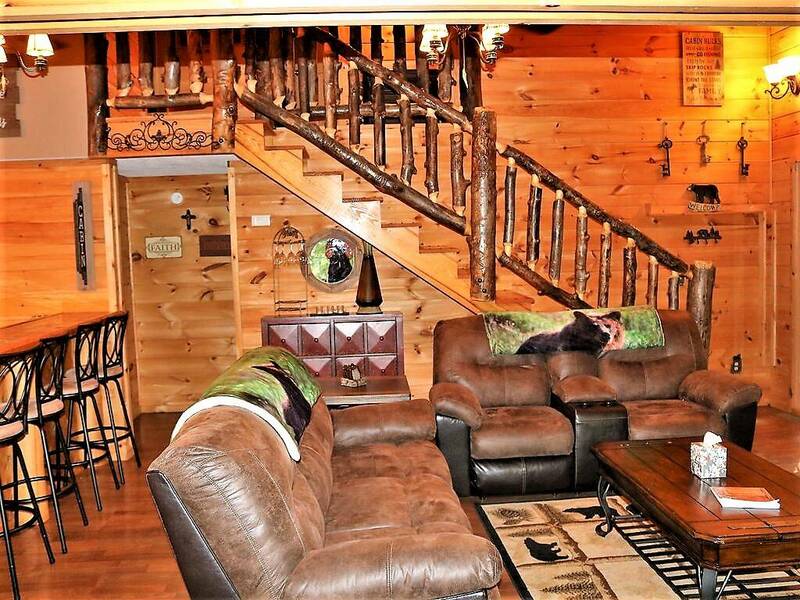 You will feel as relaxed as a hibernating bear in the serene woodland setting of Bear Necessities, a charming four-bedroom cabin in Pigeon Forge. With themed bedrooms and understated bear-related décor throughout, you will miles away from the regular hustle and bustle of daily life. A unique feature of this recently renovated cabin is the beautiful dining area, with floor-to-ceiling windows looking out into the peaceful forest. 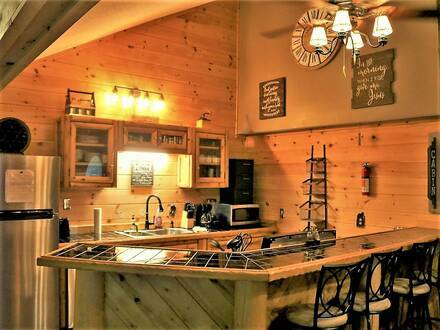 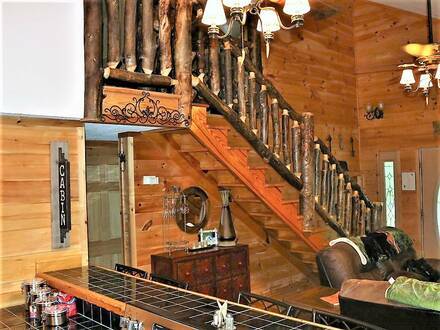 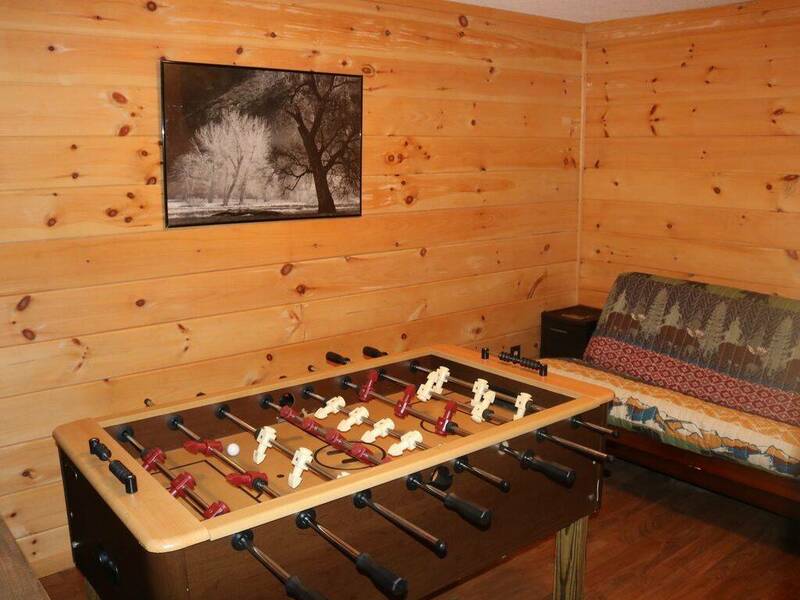 Like all of our cabins in Pigeon Forge, it comes with a full kitchen, including a stylish bar. 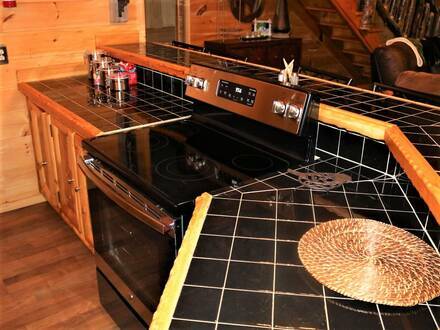 With its serene setting, saving money by cooking your own meals will feel like a treat. 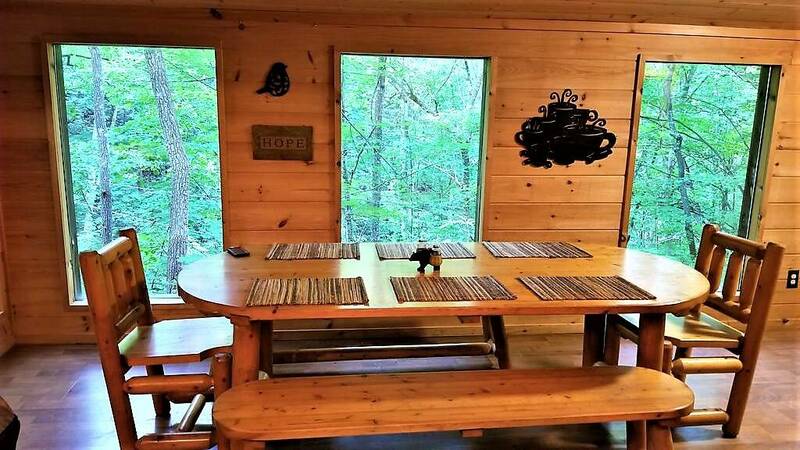 In addition to the rustic dining room table, there is a picnic area on the wraparound porch. 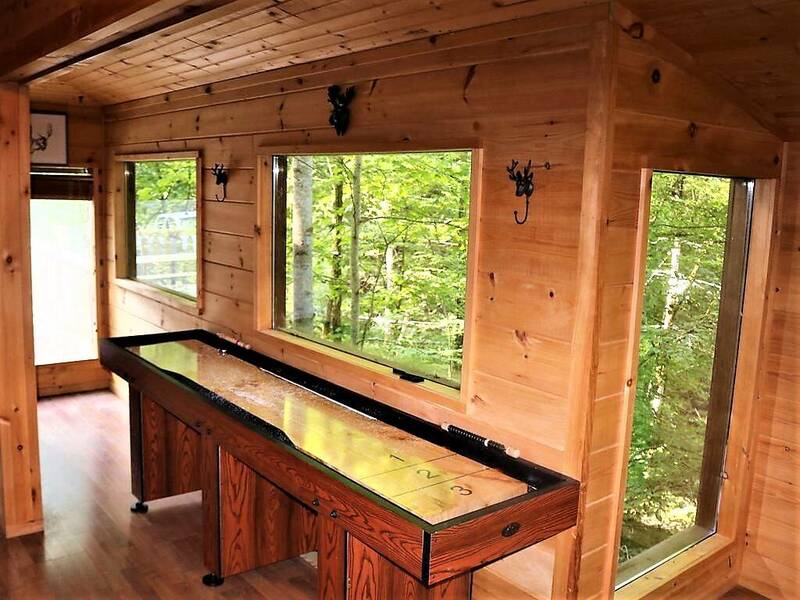 The deck also features patio furniture and the hot tub, which is a great way to relax whether in the middle of summer or the cool of winter. The wood-burning fireplace and huge flat-screen television in the living room offer another place to gather as a group. 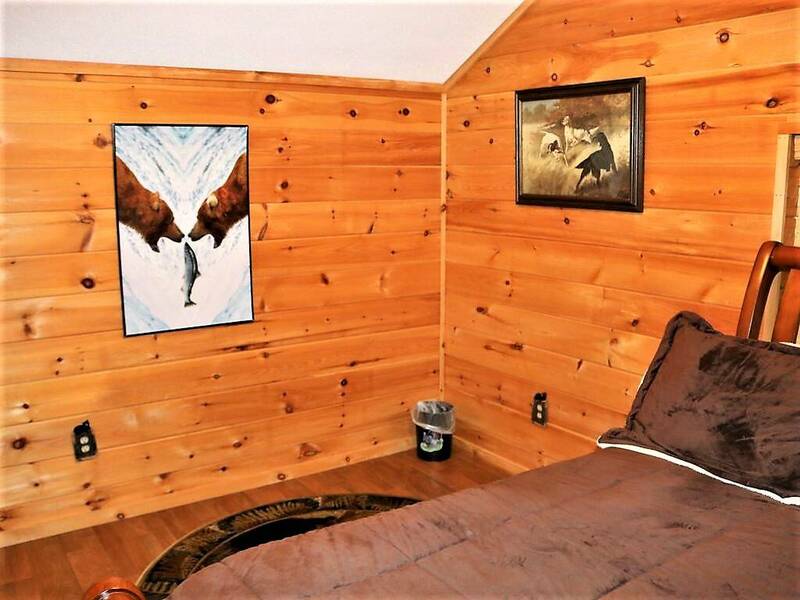 There are five themed rooms from which to choose. 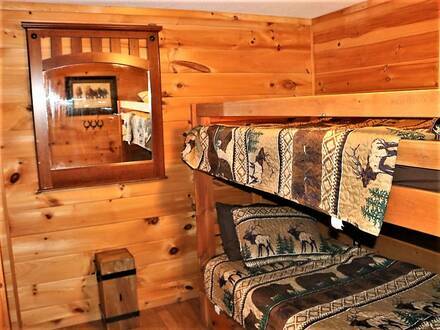 Hibernation Station is the master bedroom with spacious bathroom and its own television. 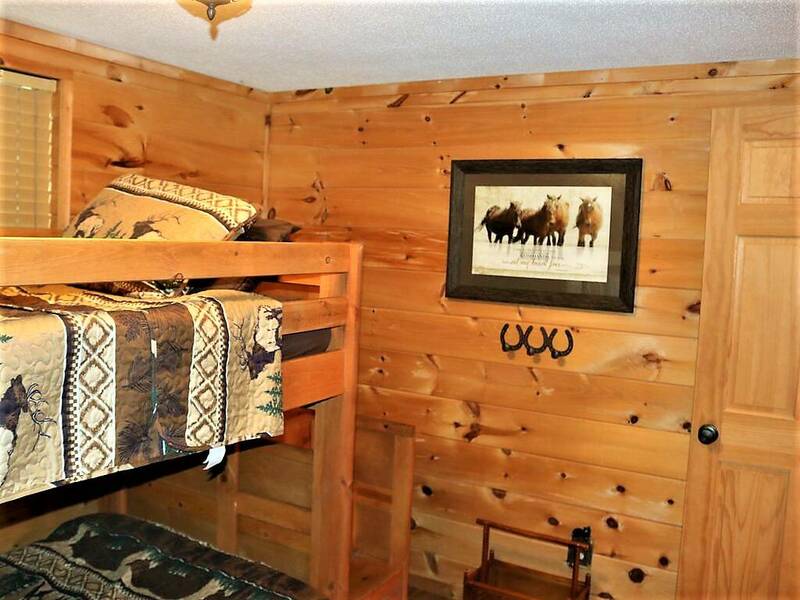 The Stable is great for kids, with bunk beds and built-in dresser. 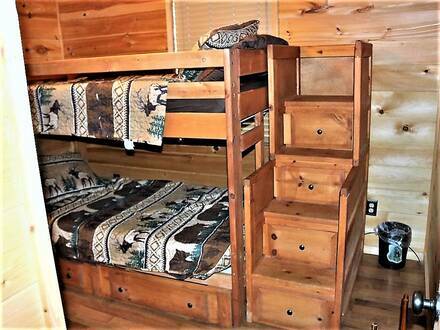 The Great Outdoors has a futon for two, while the Bear Den has a full-size bed and a trundle bed underneath. 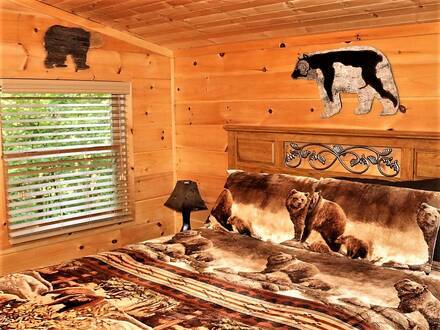 The final bedroom is The Wilderness, with another full-size bed, meaning up to 11 can retreat to Bear Necessities. Nightly minimums vary and no specials apply. Check in and check out times differ for this rental: Check-in is 4 p.m. and check-out is 11 a.m. All guests receive a free pancake breakfast courtesy of Reagan’s House of Pancakes as well!